Fort Lauderdale is an ideal destination for travelers looking for a vacation with variety. Offering some of the best attractions for arts and culture, beaches, sports, and more, you can’t go wrong in South Florida. When it comes to arts and culture, there’s plenty to see and do in Fort Lauderdale. Join the audience at Broward Center for the Performing Arts; tour the historic Bonnet House Museum and Gardens; become an explorer at the Museum of Science and Discovery; or step back in time at Fort Lauderdale Antique Car Museum. That’s not all – you’ll find more art galleries and museums along Las Olas Boulevard, and in the adjacent towns of Hollywood and Oakland Park. Select from more than 23 miles of beach during your trip to Fort Lauderdale. These award-winning beaches offer the perfect place to sunbathe, walk, play and swim. Make time for more beach activities like sailing, kayaking and fishing. Be on the lookout for Florida’s natural wildlife, including dolphins, sea turtles, pelicans and other shore birds. 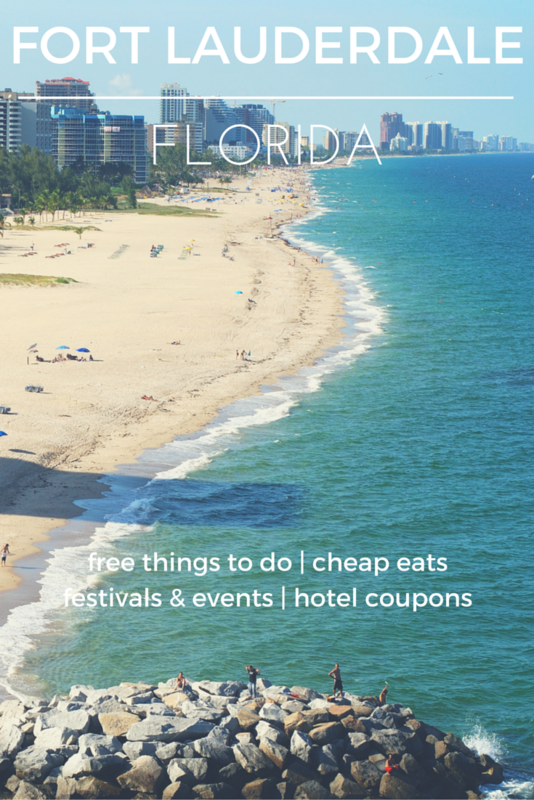 No matter what your interests are, you’ll find great things to do in Fort Lauderdale, Florida. Walk the many trails of the Anne Kolb Nature Center, including Lake Trail and Fishing Pier Trail. You can also visit the Amphitheater, Observation Tower and Exhibit Hall. In addition to Fort Lauderdale Beach, consider: Deerfield Beach, Pompano Beach, Lauderdale-By-The-Sea, Dania Beach, Hollywood Beach, and Hallandale Beach. You’ll find more that 23 miles of sand to sink your toes into! There are five unique trails to explore at Fern Forest Nature Center. But you won’t just find walking tails here – you’ll also find exhibit halls, a picnic area and an amphitheater. This indoor flea market features more than 500 shops and outlets to choose from! Even if you’re not deal hunting, you’ll enjoy strolling through this festive shopping venue. Named one of America’s Best Beach Boardwalks by Travel + Leisure, visitors can enjoy an incredible ocean view as they walk, jog or bike along this paved boardwalk. Plus, you’ll find shops and restaurants along the way. If you’re looking to experience art, dining and shopping in Fort Lauderdale, head to Las Olas Boulevard. Whether you’re looking for art galleries or nightlife, this is your destination. Sundays from 9 a.m. – 2 p.m., head to the farmers market on Las Olas Blvd. for local produce, handmade goods and more. This museum was originally the first school for African-Americans in Fort Lauderdale, and now is home to a museum and cultural center for Black history. The museum is on the U.S. National Register of Historic Places. This museum within Botanical Gardens Park features exhibits on Native American history and the area’s Police and Fire departments, along with featured exhibits, which change periodically. The Riverwalk along Fort Lauderdale’s New River hosts live events and annual cultural festivals year-round. Take a walk on “Florida’s Most Beautiful Mile”!